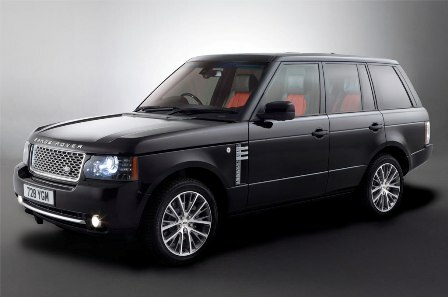 The 2011 Range Rover has been revealed together with its Autobiography Black 40th anniversary limited edition. The 2011 Range Rover features a new 4.4-litre LR-TDV8 engine with direct injection and twin turbochargers that develops 313 PS (230 kW) at 4000rpm and 700 Nm (516 lb-ft) of torque between 1500-3000rpm. With this new diesel engine, the 2011 Range Rover LR-TDV8 offers a 30.1 mpg / 9.4 liters / 100 km fuel consumption in the combined cycle and a 253 g/km CO2 emissions level. The top speed of the 2011 Range Rover LR-TDV8 is rated at 130 mph (210 km/h) and the company says it can hit 62 mph (100km/h) in 7.8 seconds. The petrol version of the 4×4, the new 2011 Range Rover LR-V8 SC, is powered by a 32 valve supercharged 5.0-liter engine that develops 510 PS (375 kW) between 6000-6500rpm and 625 Nm (461 lb-ft) of torque between 2500-5500rpm. The fuel consumption of the 2011 Range Rover LR-V8 SC is rated at 19.0 mpg / 14.9 liters/100 km in the combined cycle and a 348 g/km CO2 emissions level. The top speed of the 2011 Range Rover LR-V8 SC is 140 mph (225 km/h) and the company says it can hit 62 mph (100 km/h) in 6.2 seconds. Inside the cabin there are optional illuminated treadplates for the front doors and new transmission controls for the diesel model. Detail improvements to the exterior include new ‘Jupiter’ grilles and side vents for the diesel models. A new Exterior Design Pack option gives customers the chance to give their Range Rover a more individual look and new colours and wheels have been added to the range. The Exterior Design Pack comprises of a revised front bumper with fog lamp surrounds, front grille and side vents in Titan finish, revised side sills, rear bumper and stainless steel exhaust finishers. 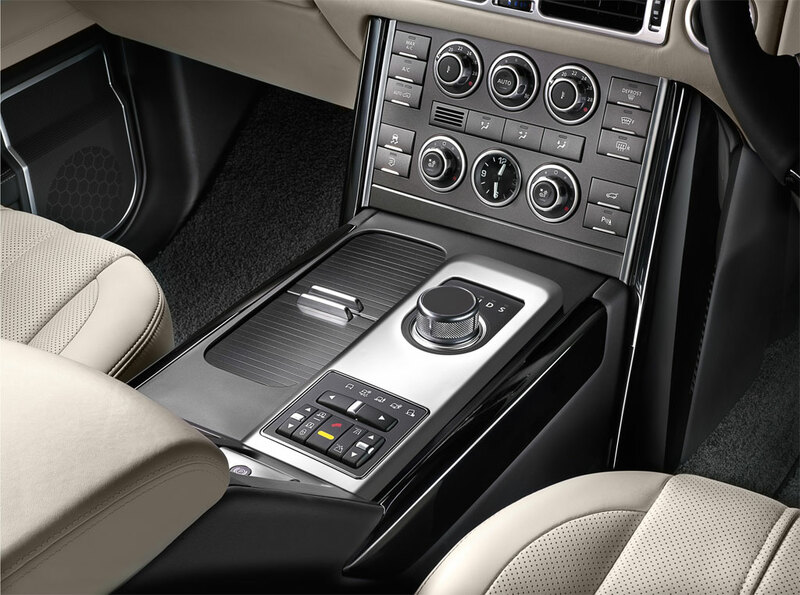 The 2011 Range Rover is further enhanced by improvements to the Terrain Response® system in the form of Hill Start Assist and Gradient Acceleration Control. Hill Start Assist retains the initial driver-generated brake pressure long enough for the foot to move from brake pedal to throttle, without the car rolling backwards. Gradient Acceleration Control is designed to provide safety cover on severe gradients when the driver does not have Hill Descent Control engaged. The ultimate incarnation of the Range Rover, the Autobiography Black 40th anniversary limited edition is quite simply the last word in bespoke vehicles. With a unique finish in Barolo Black, the exterior also features 20-inch alloy wheels, Diamond Turned, a unique front grille with Titan grille mesh, a bright chrome grille ‘U’ edge and black grille surround. Side vents have a new mesh set off by bright chrome bars and a black vent surround. 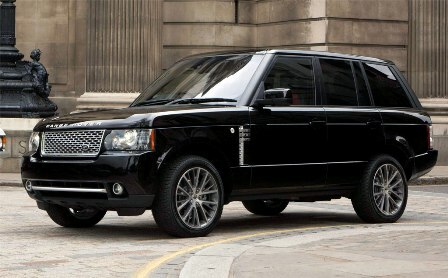 There are body coloured door handles and of course, the tailgate badge, ‘Autobiography Black’. 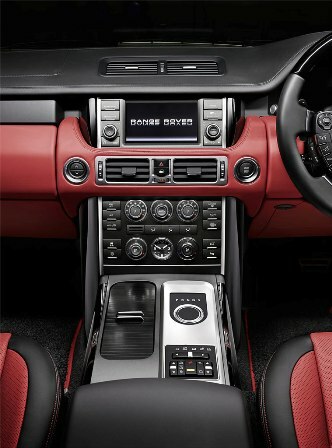 Inside, there’s a choice of the standard colourway in Jet, or two colourways unique to the Autobiography Black – Jet and Ivory, or Jet and Pimento. The Autobiography Black logo is repeated throughout the interior where it is embossed on the rear seat armrest and appears on the four unique, Grand Black door veneers. Front door sill tread plates are illuminated with the words ‘Range Rover’ and there’s a half wood Grand Black steering wheel. 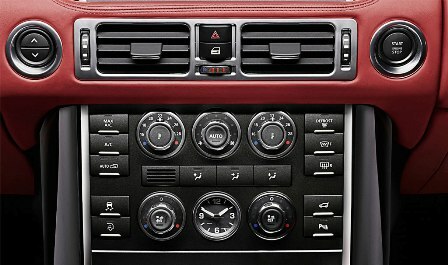 Supercharged models also offer gearknob veneers. “At the top of the Range, the new Autobiography Black 40th anniversary limited edition offers customers the option of complete exclusivity with unique colourway combinations as well as striking interior and exterior design features. Only 700 will be made globally, emphasising the exclusivity of this limited edition,” added Land Rover design director, Gerry McGovern.